My last post was about the EU Referendum in Britain and my prognosis failed miserably. I must be Scottish at heart, as the result I predicted came close to the Scotland result. CrashCourse is a YouTube channel consisting of 5 to 10 minutes lessons about various topics such as world history, science and philosophy. The channel is very useful if you are trying to sediment your knowledge or get familiar with complicated concepts in an easy and entertaining way. The Green brothers who developed this channel are really awesome and have various other projects that are equally interesting. You should check those out, too. 2. 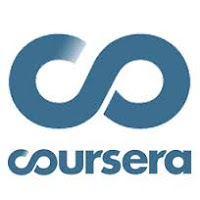 Coursera – says it provides universal access to the world’s best education. It partners with top world universities such as Duke, Stanford or Tel Aviv University to offer access to a huge variety of online courses. The courses usually include video content as well as access to all the ascribed readings, and this in itself is a huge resource and privilege. I am currently enrolled in a big data course and I love it. Watch out that not all the courses are free. Usually the old ones are free of charge. 3. Ted Ed – is my third pick. It is the younger sister site of the huge and transforming website called Ted.com and it focuses on education in 10 minutes clips on a various range of topics. The videos include animation, high quality videos and easy to understand content. Some of them have quizzes at the end making them applicable in formal education settings. It is a must if you want to start using your time online and learn or systematize your knowledge. By the way, starting first of July they are launching the July challenge. If you sign up you will receive a video lesson followed by a short quiz every day in the month of July, so that you will learn 31 new things next months. I signed up here! There are plenty other resources for learning online, depending on your interest or inclinations. Nevertheless, these are the choices that, from my perspective, are the least time consuming and the most entertaining of them all. Hope you enjoy them as much as I do. Please write back if you have other suggestions. Have a great Tuesday and thank you for reading this.